Welcome to Inland Realty. Thank you for taking the time to view our website. Here you will discover how we, at Inland Realty, can make your real estate dreams come true. We have real time access to multiple listing services which provide you with the knowledge of current listings. While viewing, if you find that perfect dream home, simply contact us and we will work diligently to make that dream a reality. Our motto is, “Our Success is based on Your Satisfaction”. 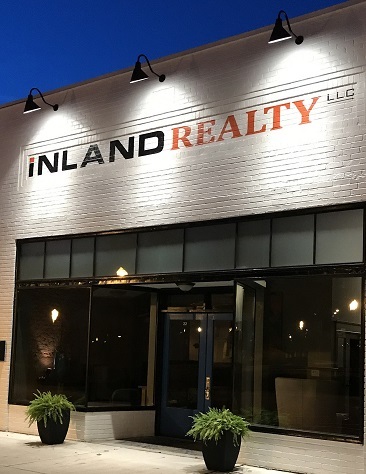 Whether you are searching for homes, land on which to build, or the perfect business location… Inland Realty is here for you. We have onsite realtors and relationships with engineers and developers wanting to serve you in all your real estate needs. We value our clients and integrity is our catch phrase. We will work hard to service your needs and make the process easy and comfortable. We pride ourselves in providing Quality Service to our clients. Give us a call and experience the Inland difference! Jefferson School District A MUST SEE!. This beautiful home is walking distance to Jefferson City Schools and to the Kroger shopping Center. The Master on the Main with jet tub, double vanity and separate tile shower. The large dining room is perfect for those family gatherings. Full unfinished basement has stubs for bathroom. The kitchen has granite counters, a double oven, built-in microwave an island for easy preparation and/or serving. The second floor overlooks the great room and showcases the seasonal view outdoors. Call today for an appointment to see this home.